Hey @Igor can you explain how this works better in the new version? 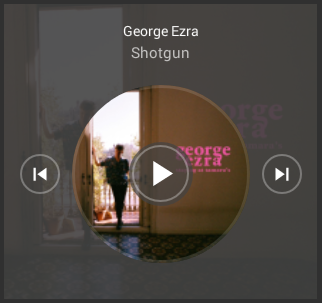 @TommySharp Shutter widget has a trigger mode that allows binding of two separate items: trigger (e.g. switch) and sensor (e.g. contact). State of the shutter will be taken from the sensor item. I’m also liking the new colour thresholds on the Gauge widget. I’ve added a linear gauge now, at the current font size there is definitely room for two gauges in the same space… Current a lot of blank space above and below the line… Something like download and upload speed in a gauge group or something? Ideally Scene widgets should show the label at the top when the style is “mode”. DONE! My decimal numbers are too big and about the same size as the whole numbers. DONE! 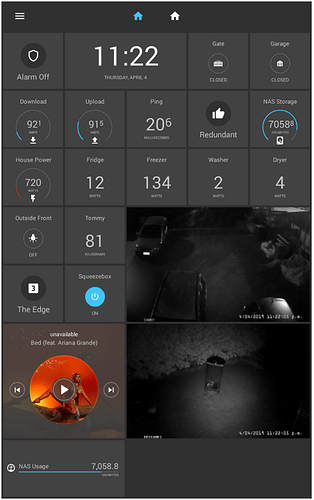 Media widget needs support for cover art from OpenHAB image item. Media widget needs a couple more controls like volume and power. Use Font Awesome for extra custom icons? Dimmer/Rollershutter - in Legacy version I used light-dimmer widget for both dimmers and rollershutters it was nice, useful and space-saving solution, is there any way to reproduce it(ie. gauge with write function)? For me sliders will be too big or not enough precise. Unfortunately I also will experience sharp drop of WAF. Thermostat - someone has already asked about it, is there any way to customize this widget (ie. only binded values will show)? In Legacy version temperature widget had only temp/hum values and exactly this two I need to show in HH. I found it @ room widget, but again, I don’t need image. Is it possible to hide not binded elements?